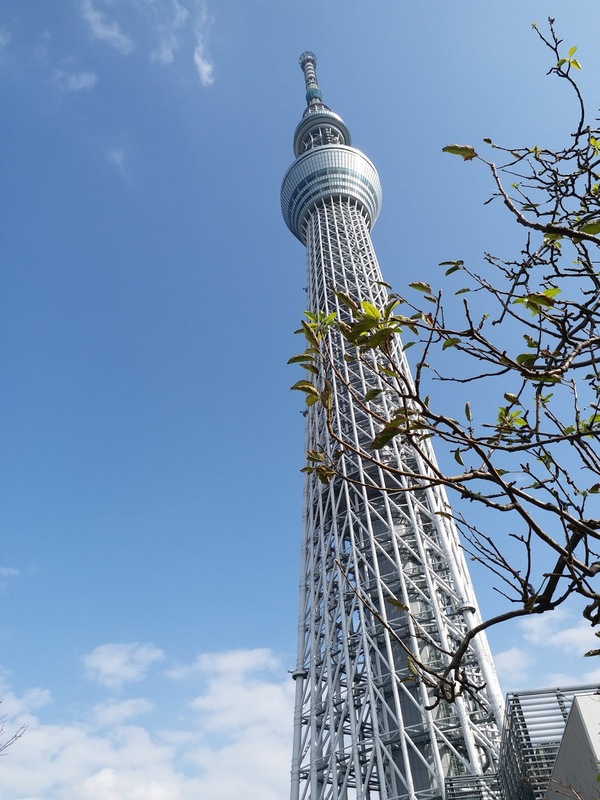 On the 25th I visited the Tokyo Skytree. 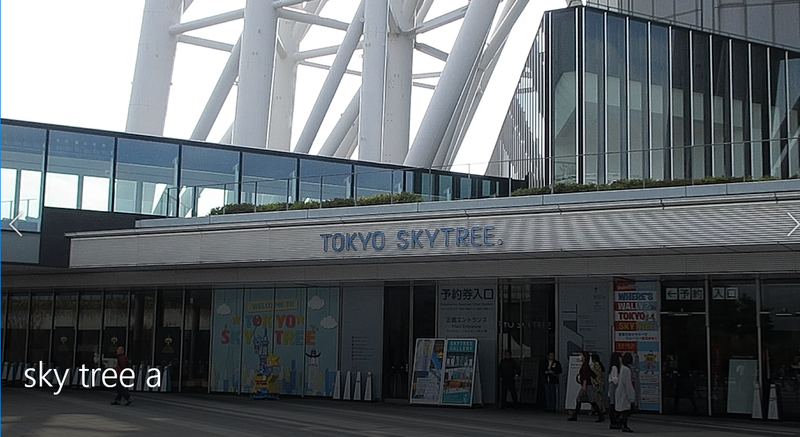 According to the Tokyo Metro Guide, the Skytree has so many services that it becomes a small town in its own right. 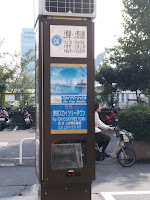 I went there by a shuttle bus which was on a circular route. This route had eight stops. 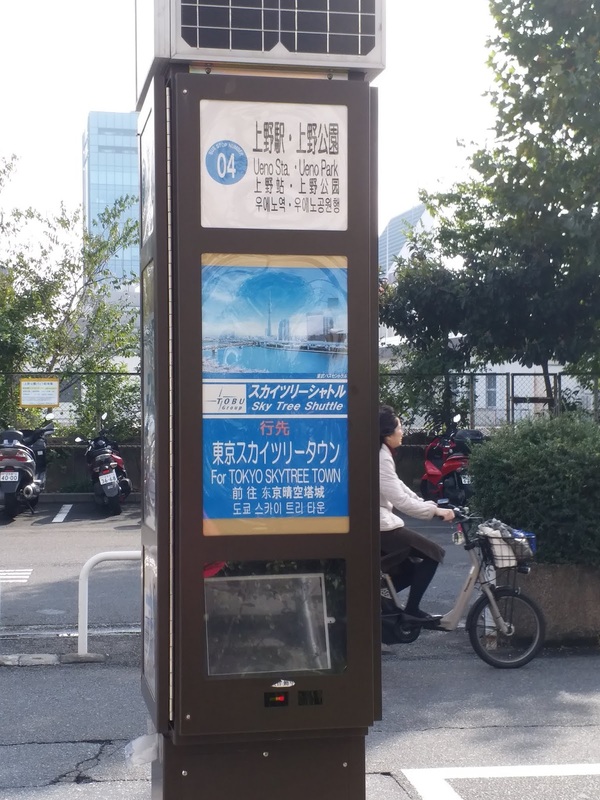 I got on this bus at the Ueno stop and it only took about 10 minutes to arrived at the Tokyo Skytree. 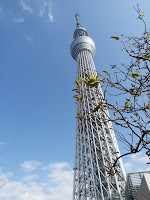 Tokyo Skytree (東京スカイツリー ) is a broadcasting tower in Sumida of Tokyo, Japan. 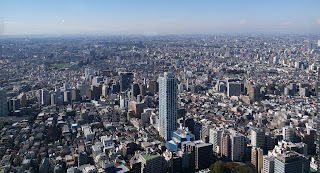 It became the tallest structure in Japan in 2011 with a full height of 634.0 metres (2,080 ft). 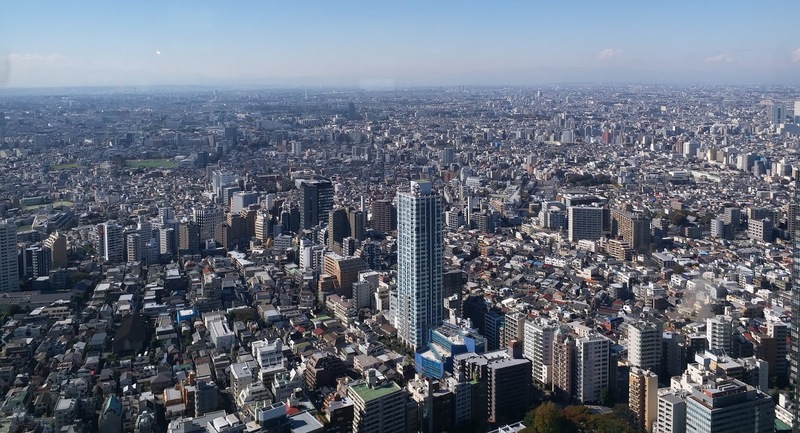 It is the primary television and radio broadcast site for the Kantō region as the older Tokyo Tower can no longer give complete digital terrestrial television broadcasting coverage because of its surrounding high-rise buildings. Skytree is the centrepiece of a large commercial development funded by Tobu Railway and a group of six terrestrial broadcasters headed by NHK. The tower's structure is cylindrical and can offer panoramic views of the river and the city. There are two observatory floors, respectively at 350 m (1,150 ft), with a capacity of up to 2000 people; and at 450 m (1,480 ft) with a capacity of 900. Shopping area and restaurants etc. can be found at the lowest 4 floors of the Skytree and they are quite big and spacious. 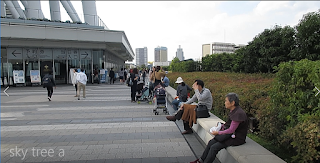 For example, on the third floor, there are restaurants, fast food stall, and dessert shops. There is a podium on the fourth floor. At the podium there is a small garden. 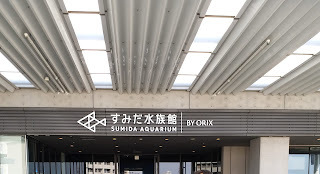 The entrance of an aquarium is also at the podium of the Skytree. The podium links the Skytree to the nearby commercial buildings.